Reverse mortgages are increasing in popularity with seniors who have equity in their homes and want to supplement their income. 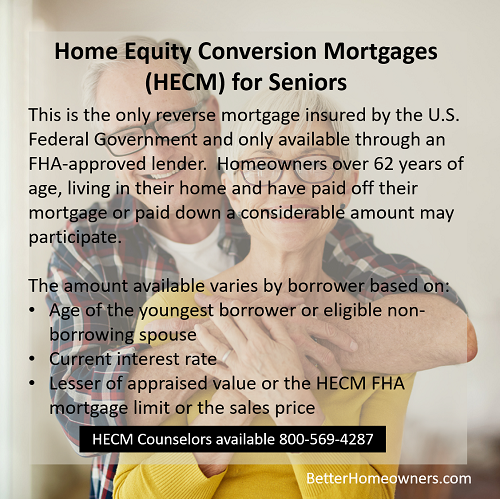 The only reverse mortgage insured by the U.S. Federal Government is called a Home Equity Conversion Mortgage (HECM) and is only available through an FHA-approved lender. 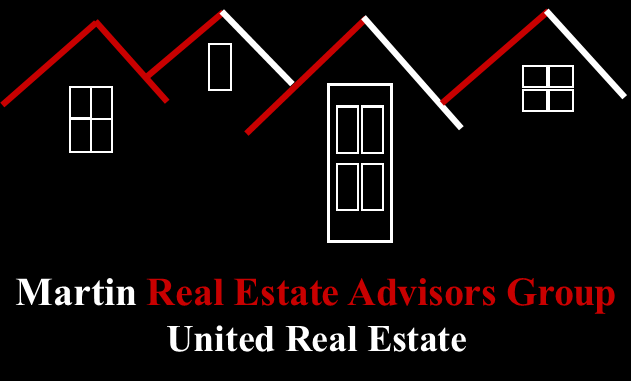 Lesser of appraised value or the HECM FHA mortgage limit or the sales price. Counselors: To find a reverse mortgage counselor near you, search the HECM Counselor Roster or call (800) 569-4287. To find a reverse mortgage counselor that provides telephone and face-to-face counseling nationwide, use the HUD Intermediaries Providing HECM Counseling Nationwide list. Lenders: To find a reverse mortgage lender, use the HUD Lender List Search.